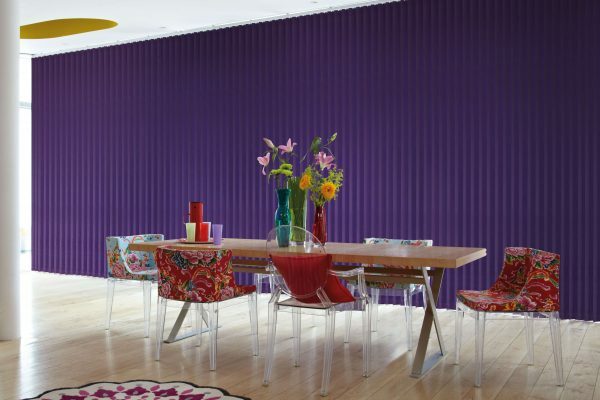 Fine Fit’s vertical blinds have lots of soft shades and vibrant colours. 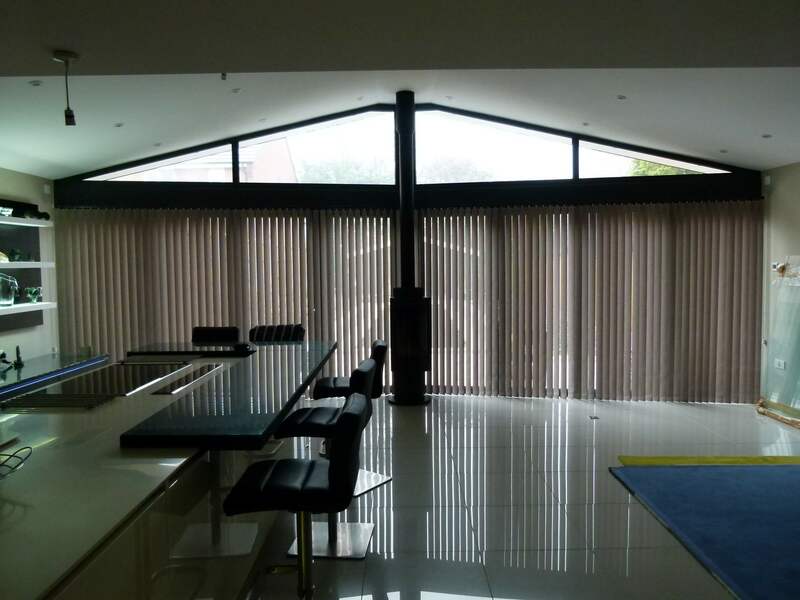 We can give a lighter effect or right through to black out fabrics; there is lots of choice and this blind gives you complete control over the light in your space. For the home or business? With Vertical blinds we have cool shades and textures with commercial appeal for your office, retail or café space. Seeing the range is believing the possibilities! 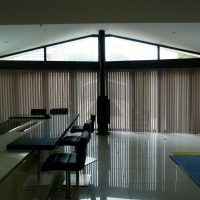 Easy wipe vertical blinds may be the best choice for those hectic busy households with kids and pets! Fine Fit’s vertical blinds have 67 different shades and styles of vertical blind in standard 89mm vertical slats. Wider 127mm slats are also available. We can give a great look for your bow window with a curved head-rail.